However, careful study of the position of the stones showed that on certain important days of the year, the Sun and the brightest star Sirius rose aligned with the monument. Today marks one of those days: the northern winter solstice, the shortest day of the year in the northern hemisphere. We don’t know the significance the solstice or any other astronomical event had in the lives of the builders of Stonehenge, but today we know the variation in the length of days—along with the yearly cycle of seasons—is due to the tilt of Earth’s axis relative to the plane of its orbit. The alignment of the stones with the rising of the Sun on these important days places Stonehenge with many other monuments constructed around the world over the millennia. 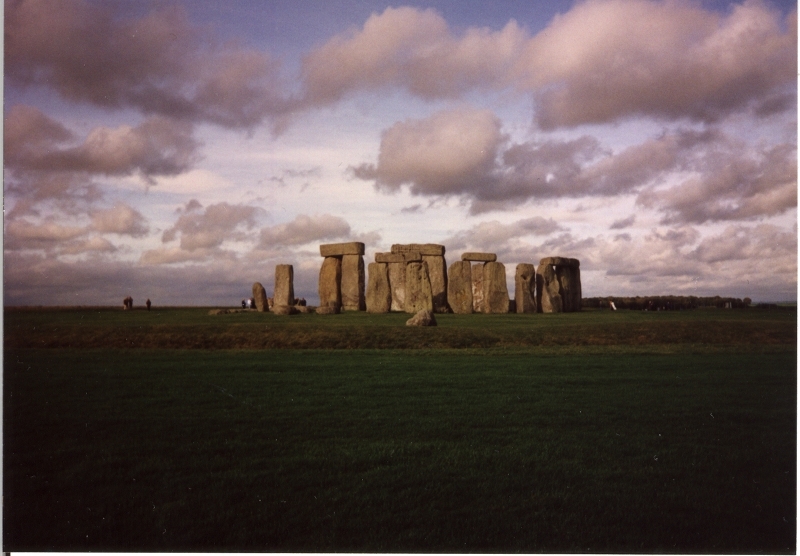 I visited Stonehenge in the fall of 1997, when I spent a semester studying in London. Since Stonehenge is such a familiar scene from innumerable photographs, many of my group seemed to feel there was no point in actually seeing it in person, and their reactions were apathetic. Surprisingly, I didn’t feel that way: even knowing what it looks like from practically every angle didn’t diminish the intellectual excitement of standing in the presence of an astronomical instrument constructed four thousand years ago. (The photo above was taken on that day using a cheap film camera with no focus ability. I dug out my pictures from the trip last night and scanned them in.) As I mentioned previously, seeing the Very Large Array (VLA) for the first time evoked similar emotions in me. The way the ancient people looked at the sky was no doubt very different from how we perceive it today, but from antiquity humans have looked up and wondered and asked.